On New Year’s Day, Brian Eno, the English composer and producer, released Reflection, his 26th solo album. It has one track, also called “Reflection,” that plays, uninterrupted, for 54 minutes. The same day, Eno also issued an app, which features a grid of colors that transmogrify, gently, while the app rearranges each of the track’s constituent parts. Like much of Eno’s work, the experience of Reflection—of listening to it, of looking at it, of listening to it while looking at it—is both cerebral and instinctive. The whole enterprise can seem high-minded if not baffling on paper, but in practice it’s merely soothing. Something loosens in you. You sink a little deeper into the earth. Eno, who is now 68, has amassed a vast and multitudinous discography since his solo debut, Here Come the Warm Jets, appeared in 1974. He produced records (some iconic) for the Talking Heads, Devo, David Bowie, U2, John Cale, and Coldplay, and composed—if that’s the right word—the three-second Windows 95 start-up sound. After leaving the glam-rock band Roxy Music, he released his avant-pop masterwork Another Green World and became an early pioneer of “ambient music,” an art-school movement that furthered the notion that music could be as fluid and dynamic as a sunbeam. This might be the innovation he’s best known for now. Historically, ambient music has been defined by what it enables—by the transcendental or granular activities the music manages to lubricate—rather than by a particular sound or technique. Two experimental German ensembles from the late 1960s, Popol Vuh and Tangerine Dream, were among the first Western acts to fuss with the idea, though it has roots, conceptually, in Roman and Gallic chants and in many strains of non-Western music, religious and otherwise. The thought was always to allow the mind to unfocus for a moment, and the effect of the music reminds me of a sneaky old reporter’s trick: Get your subject to agree to an interview while he or she is driving a car. Operating a vehicle occupies just enough of the person’s conscious mind that other thoughts are released, and so something might slip out unmediated; a door might be left slightly ajar. This description fits his new album, which is just one long song full of rhythmic connections; it breaks apart only to coalesce again. Reflection was made using only a synthesizer, the key instrument in Eno’s ambient-music albums, which he favors in part because it arrived in the early ’60s without any cumbersome, preexisting cultural history—unlike, say, the violin, there was no imposing canon of great work to match or outdo, no embedded traditions for iconoclasts to dismantle and subvert. 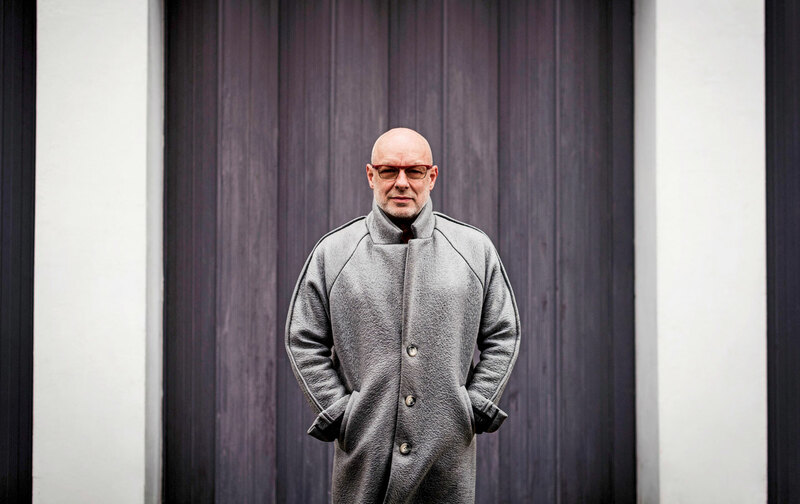 Musically, Reflection is impossible to describe in precise terms—it eschews precise terms—yet it’s also familiar in nonspecific ways, as if Eno has finally tapped into some geological vibration that we’ve all experienced but can’t articulate. There is also no percussion, though there are soft bass tones; no melody, though some of its repeating phrases do linger; and no arc or single moment of resolution. Sounds arrive and then fade into other sounds, or just dissolve into nothing. It might remind you of a strong wind you once felt. You might even forget that it’s playing. Mostly, Reflection asks big questions about the utility of music and the practice of consumption; how and when and where and why you listen to it will dictate your relationship to it more profoundly than the actual tones. For anyone not especially eager to shell out all the money for the app, which offers a more guided sensory experience, I’d suggest cuing the track to repeat, putting on a nice set of headphones, and taking it someplace where you can observe a landscape as it changes: afternoon into twilight into sunset into blackness. Because Reflection seems, in the end, to have something to say about time, or at least about giving yourself over to a system that isn’t dictated by or even particularly interested in its progression. The album’s insistence on a certain kind of passive submission to what is outside can feel religious. It allows—like prayer—for a kind of benevolent emptying. As far as generative aphorisms go, “Oblique Strategies” is useful for emancipating oneself from the ridiculous rules and expectations (Produce! perfect! material!) we often train ourselves to follow. These rules can, of course, be paralyzing. For years, I’ve had a quote from the composer John Cage taped above my desk: “Begin anywhere.” Embracing and nurturing a kind of emotional ataxia—that internal shriek of “I have no idea what I’m doing!”—isn’t exclusively beneficial to artists, although Eno and Schmidt were thinking primarily in those terms. The belief that there’s no such thing as a mistake or a guaranteed path forward is as useful an ideology for living as it is for creating. Many of humanity’s grandest inventions were born of mess. Many of humanity’s most inspired ways of living were discovered without a plan. For Eno, this ethos, applied musically—anything can be an instrument; let the work reveal itself organically—can mean tapping a pen on a lamp, as he did for his first recorded composition. It can also mean a piece like Reflection, which feels like a kind of oblique strategy in its own right. It is not an end but a means; it can liberate your mind from a particular strain of thought without filling it with others. Use it as a skeleton key for whatever lockbox you’ve found yourself stuck inside. Amanda PetrusichAmanda Petrusich is a 2016 Guggenheim fellow and the author of Do Not Sell at Any Price.